Flaxseeds have been cultivated for their health benefits for 5,000 years. They’ve been around for ages, but only in the last few decades has nutritional science realized just how good they are for us. “Wherever flaxseed becomes a regular food item among the people, there will be better health,” Mahatma Gandhi. I love adding flaxseeds to my meals and baking! Let’s learn more about this PowerFood. 1. Flaxseeds are one of the foods highest in soluble and insoluble fiber. 4 Tbsp flax meal = 8 grams of fiber. Great for detoxing of the body. They contain a gummy soluble fiber called mucilage which protects intestinal flora. Helps keep bowel movements regular eliminating toxins. Blocks excess acidity thus improves digestion. The fibre has cholesterol-lowering effects. The high fiber helps stabilize blood sugar. 2. Flaxseed lignans fight cancer, infection and more. Flaxseeds Reduce Prostate Cancer: Research studies show lignans can slow the growth of prostate cancer cells. Lignans seem to have antibacterial, antifungal, and antiviral properties. Lignans may reduce pre-menopausal symptoms, promote fertility and prevent Type 2 diabetes. 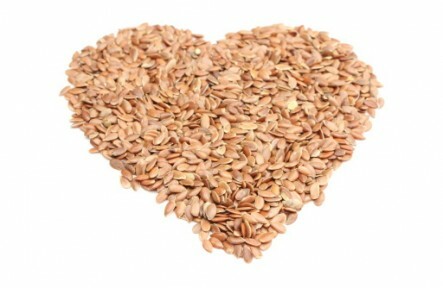 Flaxseed omega 3 oil is good for your heart, and a lot more! 3. Flaxseed Omega-3 Essential Fatty Acids Reduce Inflammation. Many chronic diseases (heart disease, arthritis, asthma, diabetes) are developed from too much inflammation; this is enhanced by having too little Omega-3 intake. Flaxseed oil can be a real help. 4. Flaxseed Meal is Low Carb, Low Glycemic Index, and Gluten Free. Although flaxseeds are not a grain, they have a similar vitamin and mineral profile and are often used in grain recipes. For those on a low carbohydrate diet, or a gluten-free diet, flaxseed meal is perfectly safe. It has a low glycemic index of 32 and with it’s high fiber is good for weight loss. Flaxseeds are so good I use them in all my cooking classes and detoxes! Hippocrates used flaxseed for relief of intestinal discomfort. The Egyptians used linen (made from flax seed) to wrap their mummies. Christ wore linen in his tomb. Homer tells of sails made of linen in his Odyssey. 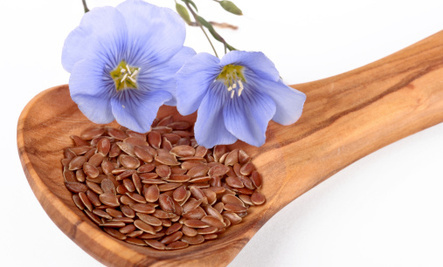 Laws were passed requiring people to consume flax seeds for its health benefits by King Charlemagne in the 8th century. 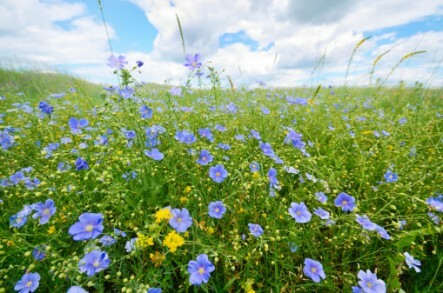 Flax was one of the original medicines, used by Hippocrates himself. Some flax varieties are grown for oil, some for their fiber to make linen. If you have a delicate digestive system, start with low doses of flax meal to begin with (one table spoon per day) and work up to two. 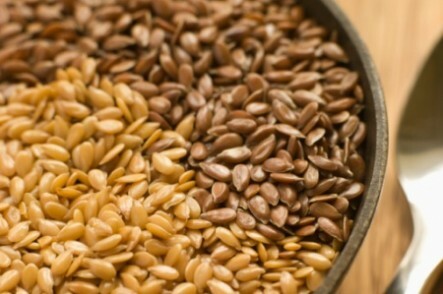 If you have a significant digestive disorder, the fiber/laxative effect of flax could be serious. The National Institutes of Health recommends that people with bowel problems or disease should not consume flaxseed. Some researchers are concerned about the levels of cyanide compounds (cyanogenic glycosides) in flaxseed, but all studies so far have shown that they do not create the anticipated problems in the body. Stone Age: Flax remnants were found in Stone Age dwellings in Switzerland. Around 3000 BC: flaxseed was cultivated in Babylon. 8th century: King Charlemagne passed laws requiring his subjects to consume it because he believed in its health benefits. There are many different varieties and forms of flaxseed. Spring Cleanse Fruit Salad You will want to eat this every season but spring is the time to detox! Gingerbread Cake – Gluten free The most delicious AND balanced cake in the world! Nutritious Nut Loaf It’s hearty and healthy! I like them, just I forget to consume them... Thanks for posting! I love flaxseed. I love the flavor. Put in your oatmeal or on fruit. I buy cereal with flaxseed in it.